The cold season is often characterized by winter whites and glum greys. But this season it’s all about deep reds, muted oranges, madness of maroons and the softness of browns. 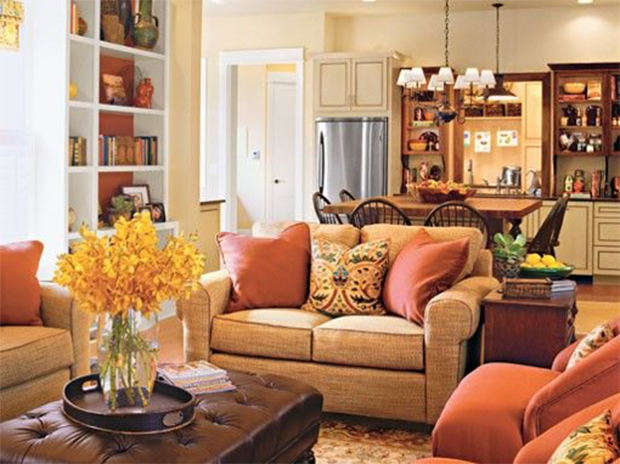 The earthy tones of these hues serve to bring more warmth in your habitat and make it a cosier place to snuggle in. Complement bold colours with shades of charcoal, olive green, clay and champagne. 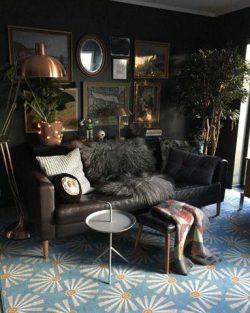 Throw in some soft blankets over the couches in contrasting shades. To layer pieces of the same colour, experiment with different prints and patterns for a better look. If monotone is not your cup of tea, add accent pieces of a contrasting hue to create balance. 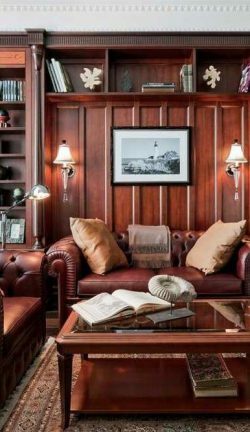 Think of luxe interior design ideas and you can’t help but picture leather in it. Leather has always been used to provide necessary heat when temperature dropped. So, when your house turns cold, what better material to choose than leather to warm the surroundings. If not a full-blown leather makeover, you can incorporate this rich texture in furnishings and lounge furniture. Think of dark leather couches and settees. Layer it with fabrics like faux fur, wool and velvet for that look of ultimate opulence. You can either stick to the dark colour scheme to intensify your leather lacquer, or channel a colour palette of blacks and whites for more dimension. Fringe has never really gotten out of style, but much to our delight, it is all over the runways this season. They’re fun, flirty and flare out pretty bohemian vibes that suit all décor themes. Fringe is also the easiest design element to incorporate in your house. 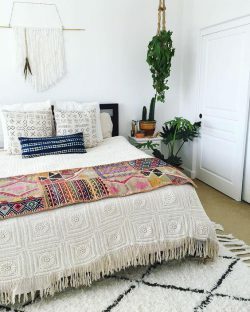 Tassels and fringe can easily be added to plush carpets, floor mats, throw pillows, wall furnishings, and flowy curtains. 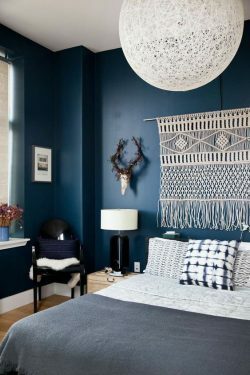 Layer your walls with a statement fringe hanging or add furniture covers with tasselled embellishments. Take the unexpected route by adding metallic fringe elements to chandeliers and statement lamps. Experiment with as many different colours as you can for a vibrant appearance. This lovely metal is all shades of magnificence and style packed in one shiny glory. Appearing in nearly every major fashion house’s collection, gold is one of the hottest trends right now. For home décor, it has been used from the time when Pharaohs walked the earth. In the past it was a status symbol used to display your expensive and exotic life. Today, you don’t have to be a millionaire to be able to furnish your house with gold colours. The warm tones of the metal are perfect to offset the cold vibes of the winter season. 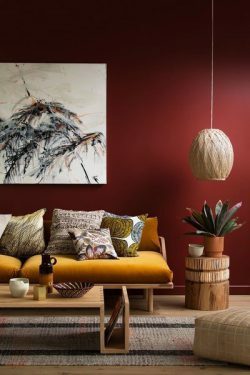 Come summer season next year, you won’t have to think about redecorating again as gold is a timeless theme for a cosy house. There are countless ways you can glam your house up with gold, but our favourite design element now is a gold-leafed ceiling. You can also decorate your house with statement gold furniture, gilded frames, golden lamps, to name a few. Fabrics with woven gold patterns can be subtle and sophisticated additions to a house, one that will never let you down. While simplicity is the ultimate solution, sometimes we need to perk up things to have fun. An interesting way to do that is by sprinkling some glitter over it. Whether it’s pink, yellow, silver or blue, glitter looks perfect in every shade of the rainbow. And so will your house once you get on this popular trend of the runway. 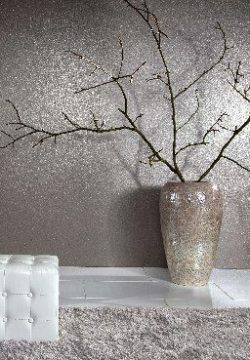 For the inexpensive cost of glitter, it can sure make a place look fancy. 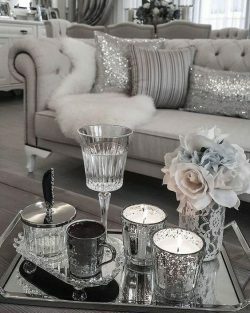 Refresh your interiors with glitter coated lamps, frames, candles and chandeliers. Channel your inner Gatsby and get creative with mirrors and polished silver to ramp up the opulent drama. 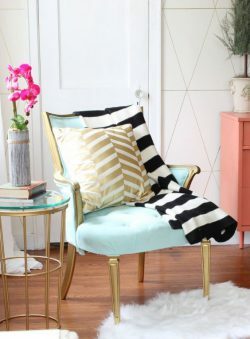 Experiment with sequinned throw pillows, curtains, and wallpapers to brighten up any dull space. Remember to keep it balanced though. Just a little glitter for a little glamour.